Being a friend to someone is really very Missional, because because the whole world is crying out for friends. Becoming a friend to someone is a commitment. A friend is someone that we take time to be with, to help, and to encourage. It’s a discipline to be a friend. That may seem like a strange way of looking at friendship. Statistics tell us that the United States is one of the loneliest nations in the world. 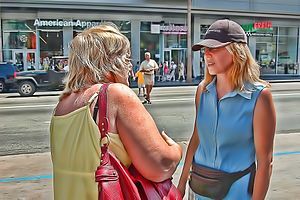 As we go about our daily walk ,being a friend is by necessity a part of being a person who is doing the mission of God here on earth. We as Missional people have a desire to reach out with love to others who need the loving touch that only a person who knows and feels the love of Jesus Christ can give. Write an unsolicited note, text or email to someone. Take someone to coffee or lunch. Make a phone call to someone who doesn’t receive many. Intentionally develop a new friend. Give your time to someone.